Fluoride has been called a miracle mineral, because it is so beneficial to dental health. This post from Hales Parker Dentistry in Ladera Ranch focuses on that fluoride is, and why it is so important. Fluoride is a mineral, plain and simple. It is found in different foods, as well as in water. Many communities adjust the fluoride content of their municipal water. Fluoride is also added to dental products. This makes it possible for you to apply fluoride to your teeth when you brush your teeth or use mouth rinses. And why would you want to put fluoride on your teeth? Because it will help to prevent tooth decay, of course! Fluoride gives teeth increased resistance against the acid attacks brought on by plaque bacteria as well as sugar in the mouth. Fluoride is especially good for young teeth. Between the ages of 6 months and 16 years, the primary and the permanent teeth come in. Fluoride exposure is extremely helpful for building a foundation for lifelong oral health. But, stay tuned, adults: fluoride isn’t just for kids anymore. The prevailing view used to be that it was good mainly for developing teeth. But newer research shows it helps to prevent cavities in teeth of all ages. Hales Parker Dentistry is a full-service practice in Ladera Ranch. The dental health of all our patients is important. 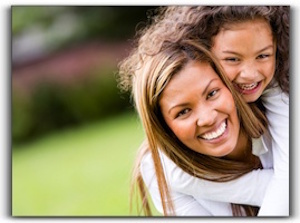 We provide general and family dentistry, and cosmetic dentistry. For those patients with dental anxiety, we also provide sedation dentistry. Call today to schedule an appointment.